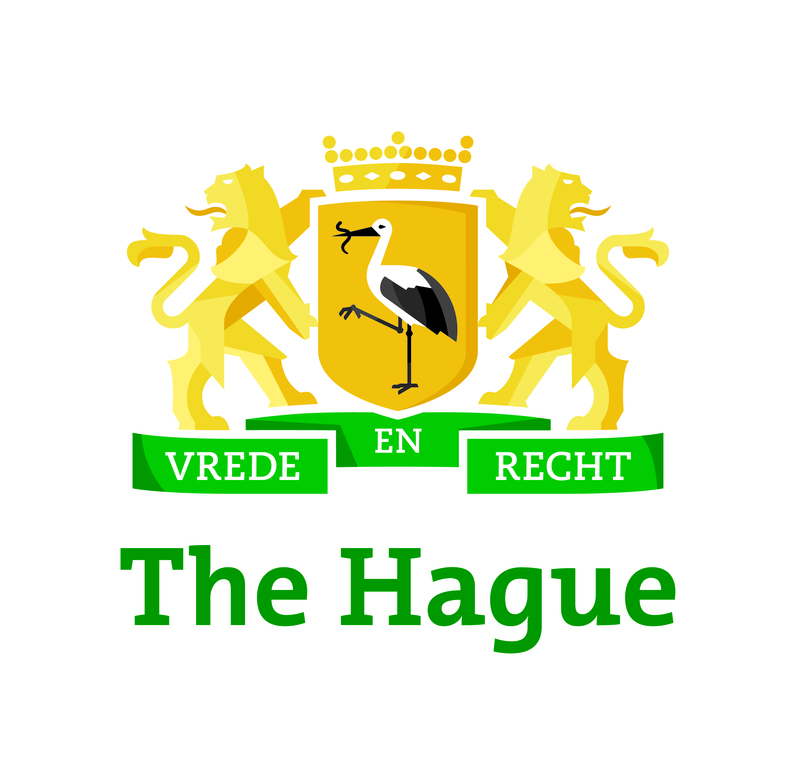 The Hague has been a member of the age-friendly city network for four years now and this seemed a good moment to make up the balance to provide a starting point for the new period. We do this with: OLD GOLD. The name says so much: a rich colour, something precious and attractive – and OLD. It is a magazine which is all about older people. Specifically the older people who live in The Hague! 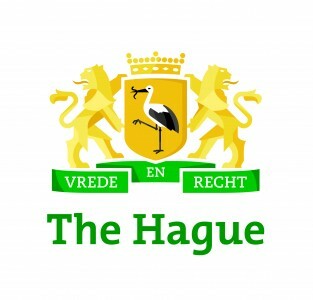 You can read about what The Hague has done for seniors in the previous years. You find articles about other age-friendly cities around the world such as New York and Bangalore. You can find reports from 30 group discussions that around 500 people took part in during high teas; a look back over four years of Age-Friendly City The Hague; portraits of eight active and inspiring people living in various parts of The Hague who add to their own enjoyment of life every day as well as that of others, and much more. 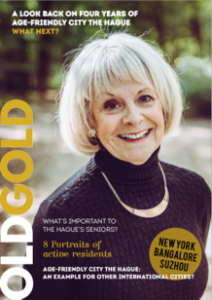 We hope you enjoy reading OldGold! After the local elections in March 2018, a new board of the City Council was elected and appointed. New city executive for Age-friendly The Hague has become Kavita Parbhudayal. She also announced to focus on digital innovation to ensure and achieve health and liveability for The Hague’s residents (article in Dutch). Alderman Karsten Klein hosted the Age-Friendly City Conference on innovation, health and active ageing. He welcomed the many international guests in his foreword and speech: “As city executive we work closely with our residents, volunteers and businesses to create the ideal environment to promote the vitality, independence and social engagement of the people of The Hague. 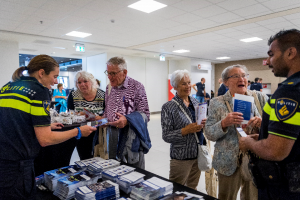 We drive this process in part with the use of technology and other innovations.” In The Hague Conference Guide is presented the city’s residents view on what The Hague means to them as Age-friendly city. The cities jointly identified the opportunities they share for above mentioned themes to the future of Age-friendly cities. They reached specific agreements to advance these opportunities together as trailblazers in the context of the existing WHO and Covenant on demographic change networks by working together as municipalities, businesses, residents and other professionals in the field. Finally they agreed to share these opportunities and to combine expertise originating from widely differing backgrounds with other cities in these same networks. Ageing vitally in the Age-friendly city. Every citizen of The Hague should have the opportunity to live as independently as possible and be able to participate in the community. Most people can live independently and do so without assistance, but due to old age, illness or a handicap at times it can be difficult. In 2016 the municipality of The Hague presented the results of the research on the eight domains of Age-friendly city life of the WHO. To make the findings of the research “what do senior citizens find important in order to stay vital“ clear, the results have been turned into an infographic. Based upon the findings, additional research was done resulting in a district’s score being better or worse than others and the action program “The Hague Age-friendly City” was initiated. To read more about what’s important to senior citizens of The Hague, please follow the link. Infographic The Hague Age-friendly City. Essential in implementing these priorities is that The Hague doesn’t have a top-down approach, but tries to motivate the (senior) citizens and organisations of The Hague to have a particular role in this. As a local government The Hague tries to create an environment that encourages our citizens to take initiative and responsibility. Through partnerships with corporations, small and medium enterprises, and organisations, the municipality of The Hague creates alliances on specific themes. We facilitate these alliances through financial means from the municipality and our partners. 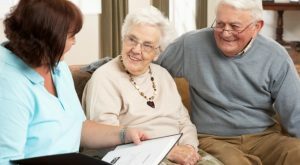 Bottom line in every project or activity concerning the elderly is that it has to meet the needs and preferences of the senior citizens in The Hague. Vitality Award: The Vitality award is an award of appreciation for initiatives of citizens of The Hague to work towards a senior-friendly city. The Vitality award stimulates citizens of The Hague (both local residents and organizations) to be actively involved with the city. With your initiatives you inspire each other to remain vital and to combat loneliness. The initiatives, provided they are workable, may vary from small to large and must be applicable to a variety of themes such as: social restaurants, coaching in using new media or safe online payments, dementia-friendly shops but also ideas about the use of internet, a senior-friendly walking area or a walking buddy in the neighbourhood. Prior to the award ceremony, gatherings in each city district are organized during which the submitted initiatives are presented and discussed. Also ideas that need some help from other parties, can be submitted. The Vitality ward brings together various parties from which collaborations may be formed. With the help of good ideas and great initiatives the municipality can improve the liveability of the city even more. The Vitality award is presented in each city district to organizations or local inhabitants who develop initiatives to be active and involved with the city. Month of Vitality: The Month of Vitality is a theme specifically aimed at senior citizens to participate and stay active. All sorts of activities are organized by various companies and organizations throughout the city. The activities they organize are described on the “Month of Vitality” website [www.maandvandevitaliteit.nl] and in a special festival newspaper insert. During the Month of Vitality, partners of the city and local organizations are called upon to organize activities for senior citizens. These activities can include sports, cultural activities or activities that stimulate senior citizens to be an active part of their communities such as classes that teach them how to use smart devices such as tablets and smartphones. Common in The Hague: The platform ‘Common in The Hague’ [Doodgewoon in Den Haag] considers it essential that citizens of The Hague make conscious decisions with regards to the last phase of their lives. The objective of ‘Common’ is to expand the possibilities of dying a dignified death by the citizens of The Hague. The platform stimulates ‘becoming the director of your last stage of life. In collaboration with organizations in the field of healthcare and end-of-life care services, the platform wants to increase the awareness of this theme among the citizens of The Hague. And subsequently break the taboo regarding dying and death. The Platform ‘Common in The Hague’ is a connecting link between all institutions that offer services to citizens of The Hague concerning death. Furthermore, the platform wants to reinforce the network of such institutions and optimize the collaboration. 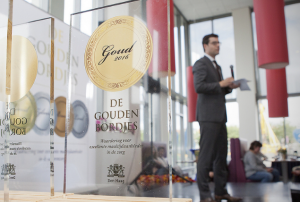 Golden plates: The Golden Plates [Gouden Bordjes], is an appreciation for excellent provision of meals in the elderly care. Among others, in accordance with the principle for the elderly by the elderly but also in cooperation with professionals of various professional backgrounds. The Golden Plates are meant to continuously inspire institutions to improve the offer of meals. 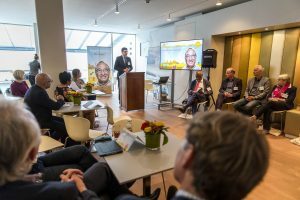 The Golden Plates started as an initiative in 2011 and celebrated its fifth anniversary in 2016 in cooperation with those that are active in the health care industry of The Hague and Deputy Mayor and Alderman Karsten Klein (Economic Affairs and Healthcare) and other professionals. In 2012 the Golden Plates was granted the acknowledgment “Good Practice & Idea” by Genero. Genero (cooperation partner of Erasmus Medical Centre, Rotterdam-Rijnmond region) regards the Golden Plates as a support of the improvement of health care and welfare for senior citizens. The set-up of the Golden Plates aims at activities with regards to meals that in time will lead to an integral supply of care and support. Which then aims at an improvement of self-reliance. This also helps in combatting loneliness among senior citizens because it increases the number of opportunities for getting in touch with other senior citizens, in an attractive environment with good service. Community against loneliness: As part of the ‘Community against Loneliness’ [Community tegen Eenzaamheid] various parties in The Hague look for solutions to combat loneliness. This results in surprising collaborations between organizations, companies and citizens. 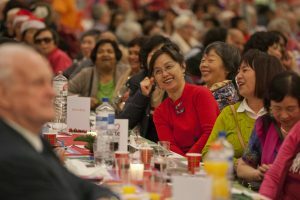 In December 2015, the green light was given to the Community against loneliness, during a Christmas lunch with 800 senior citizens on the Pier of Scheveningen. The Community against Loneliness started as a collaboration of entrepreneurs, professionals and volunteers, who were all looking for chances and opportunities to combat loneliness. In recent past coalitions were created between ADO Den Haag (local soccer club), Xtra(welfare), Pathé cinemas, Buddy Network, Resto VanHarte, and migrant senior citizens. As this is only the beginning. 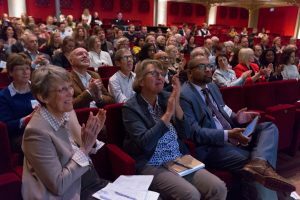 The Community against Loneliness of The Hague is more to than meets the eye, and unexpectedly brings together people and organizations while adding brilliance to life. Diverse The Hague: The Hague is a diverse city where citizens feel recognized and play a role which suits them. This ideal connects organizations that are active in advocacy, community service, sports, welfare, healthcare, education and government. Staff members, volunteers and persons in need of care ask themselves: what does this mean for our organizations, what does it mean to me, what is needed to do that, who is of importance to do this? Since 2009 these organizations have gone around with each other within Diverse The Hague [Divers Den Haag]. A lot has been accomplished already: organizations increasingly draw clients with diverse backgrounds, and services are more tailored to a diversity of people in the city. An increasing number of staff with a diversity of backgrounds find positions within these organizations. 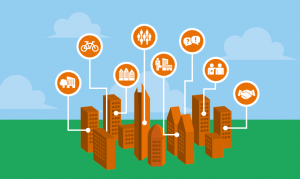 Knowledge and know-how is growing and within organizations a stronger and broader awareness for the need of connecting and staying connected at all levels in the ever changing city, is growing. Hence, Diverse The Hague works on broadening both the number of organizations and their level of knowledge on the subject matter. Thus promoting the dialogue between organizations and people, both on the inside and out. Cultural Canvas: Cultural participation of senior citizens forms an integral part of our policy as a senior-friendly city. Cultural participation does not only contribute to participating independently and actively in society. It also provides more possibilities to deliver tailor-made work and make connections between welfare organizations, healthcare providers on the one hand and cultural institutions on the other hand. To implement the above mentioned, we use our self developed Cultural Canvas. The Cultural Canvas is a triptych which is used by our partners to further promote cultural participation. The triptych consists of the following: • What do senior citizens of The Hague consider important with regards to arts and culture; • A sufficient amount of inspiring examples; • What can healthcare, welfare and cultural institutions do to inspire senior citizens to do more with arts and culture. Dementia Community Centres: The policy in The Hague also pays more attention to the support of vulnerable senior citizens who have problems with structure in their daily life. This at times combined with the symptoms of dementia requires that their informal caregivers provide them with activating daytime activities and social networking opportunities. In recent years dementia meeting places have been setup by healthcare and welfare providers as initiated by the municipality. In addition the city has setup day care facilities for senior citizens. In the next few years some of these facilities, as listed below, will be further developed. This is necessary because of the increasing number of independently living senior citizens with issues ranging from lack of a daily structure through dementia. • Centers where informal caregivers can count on contact with fellow sufferers and respite care. Recent policy has focused on the domains participation, support and care. 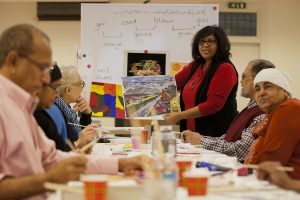 The participation element has been particularly successful in ensuring that more elderly people continue to take part in society or helping the elderly enjoy meaningful activities and engage them. The support element has helped those who require support among our ageing population to receive the right care and information on time. Through the care element, we have promoted systematic attention for the problems of intramural clients in healthcare institutions, focused more on dementia sufferers and devoted attention to the process of dying and the meaning of life. The elderly must be able to play an active role in society for as long as possible. This is primarily their responsibility, but where necessary the municipality offers support, help and care. Because the elderly wish to live independently in their own living environment for as long as possible and maintain control over their lives for as long as possible, we wish to help the elderly remain vigorous for as long as possible. By focusing our policy on promoting a vigorous ageing population, it is not only important to know what we mean by vigorous, but also what the elderly need in order to be vigorous. Vigour will partly depend on the individual person. However, the physical environment of the elderly and their place in society can also play a role. 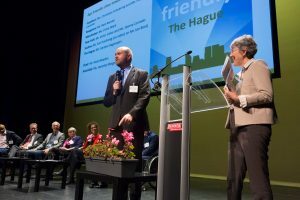 The Hague is the first city in the Netherlands to join the WHO Global Network of Age-friendly Cities and Communities. An age-friendly city adapts its structures and amenities to make them accessible to an ageing population with different needs and possibilities.The elderly know best what being vigorous means for them and what they need to remain vigorous. They formulate the conditions for remaining vigorous themselves. We involve the elderly in the municipal senior committee, we organise a senior citizen panel as well as group discussions. The WHO framework for Age-friendly Cities helps the elderly formulate the conditions for remaining vigorous. 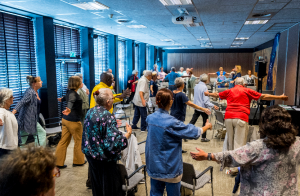 Based on the information provided by our elderly citizens, we focus on developing a structural programme: ‘The Hague, city for vigorous senior citizens’.